As our plane prepared to land, I peered out the window and tried to make sense of the blackness. I could see a few points of light, like fireflies; but otherwise the landscape seemed to hold nothing but dark water, trees, and more dark water. I was finally in the heart of the Amazon Forest, and the vast wilderness surrounding the airport seemed to prove that Manaus, the capital of Amazonas, was simply a patch of concrete in the middle of nowhere. My initial impressions were slowly shattered as the days went by. What I thought would be a relatively small town — at least compared to my hometown of São Paulo — turned out to be a sprawling city, populated with shopping malls and large avenues. Wilderness had vanished: even in the depths of the forest, floating restaurants and shops peddling indigenous artifacts were easy to find. Nevertheless, Amazonas is known for having some of the best-protected areas in the Amazon region. That’s because the state relies heavily on tourism rather than soy plantations and cattle ranching. In the state of Pará, for example, deforestation occurs due to land conversion for pasture, while in Mato Grosso, soy crops dominate the region’s economy. 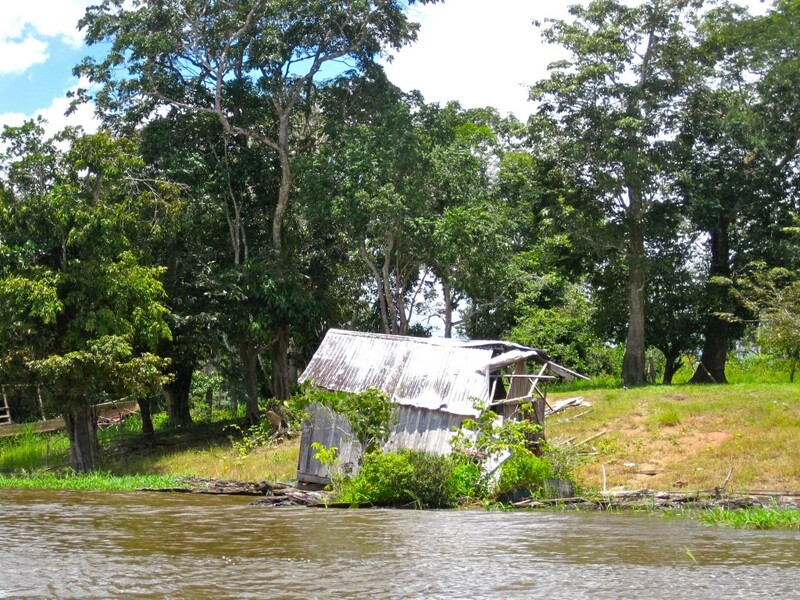 Compared to those two states, Amazonas’ wild lands are well-preserved. Yet despite Amazonas’ efforts to invest in protected areas, the landscape was still more diversified than I expected: covered with luxurious forests one minute, big farms the next. In the Brazilian state of Amazonas, conservation and development often rub elbows. Discussions about the “ideal” balance between development and environmental protection are widespread in Brazil; terms such as “sustainable development” have entered common parlance. And indeed, Brazil has come a long way — both in economic development and environmental protection — through a series of financial reforms and stringent environmental law and policy. Although many environmental groups consider any development of the jungle anathema, modernization has produced its share of benefits. Brazil’s celebrated economic growth from the late 1960’s to late ’70’s was partly caused by rapid industrialization: the so-called “Brazilian Miracle” depended on expanding territorial occupation in all corners of the country, investing in hydropower and ethanol, expanding the country’s agricultural yield, and exploring natural resources, such as timber and oil. In other words, progress has been aided by compromising the conservation of nature. There’s an important difference, however, between the modernization policies pursued by Brazil’s old military regime from the mid-1960s to mid-1980s and the policies that today’s government implements. Under the military regime, public participation and accountability were absent from the formulation of environmental laws and policies. Once a democratic government was installed in the mid-1980s, however, the voices of indigenous groups, small farmers, and environmentalists finally had a chance to be heard. At the same time, the 1988 Brazilian Constitution set out a new paradigm for economic growth, built on protection of natural resources and respect for human rights, including the recognition of indigenous communities’ land rights. This shift coincided with growing international attention to the destruction of the Amazon. Throughout Brazil’s history, the fate of the Amazon forest was always considered a matter of strictly national concern, and external involvement was unwelcome. But when the issue of tropical deforestation became internationally prominent in the 1980’s, Brazil’s policies began sparking the interest and outrage of countries around the world. Countless pictures and articles about forests burning, along with the killing of indigenous and traditional peoples in land use conflicts, have garnered even more attention for Brazilian environmental policy. 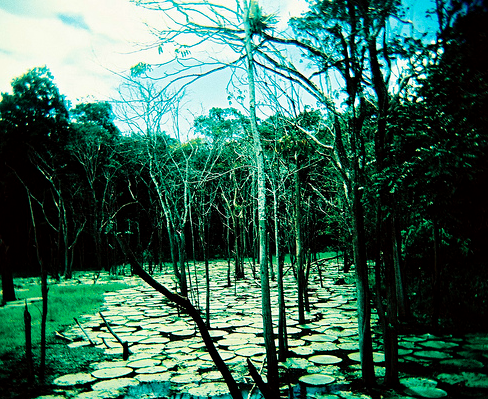 From Andrew Revkin’s book, “The Burning Season,” about Brazilian rubber tapper and environmentalist Chico Mendes, to chief Raoni Metuktire fighting alongside superstar Sting to protect the Kayapo tribe’s land in the Xingú Indigenous Park, international attention began to focus on the socio-economic impacts of forest degradation. Still, while the concept of environmental law was gaining momentum, the actual implementation of those laws remained mostly feeble. Meanwhile, Brazil was positioning itself as an “international player” and seeking leadership roles in the environmental arena — for example, by hosting the 1992 Earth Summit in Rio de Janeiro. Brazil’s active role in environmental negotiations became even more prominent in 2009 when former president Luis Inácio “Lula” da Silva met with a small handful of other leaders in Copenhagen to devise what would be the final agreement in the Conference of the Parties to the United Nations Framework Convention on Climate Change (UNFCCC). Despite this burgeoning leadership, the current state of environmental protection in Brazil is muddled, to say the least. On one hand, Brazil designed a robust climate change plan and committed to a reduction of between 36.1% to 38.9 % of projected greenhouse gas emissions by 2020, including a specific provision to reduce deforestation in the Amazon by 80%. On the other, the government is building what will be the third largest hydroelectric dam in the world in the middle of the Amazon. The Belo Monte dam is just one in a series of infrastructure projects which are part of the federal government’s “Growth Acceleration Program,” launched in 2007, which includes investment and economic policies to stimulate development in Brazil. According to the environmental impact assessment report for the Belo Monte dam, some of the negative effects include loss of biodiversity, decrease of water flow and water quality of the Xingú river, deforestation, and impacts on fisheries. Moreover, one of the most important pieces of legislation in Brazil, the Forest Code, enacted in 1965, is undergoing significant changes, not all of them positive. Among the most controversial provisions under consideration is the “amnesty” granted to landowners who illegally deforested their property. According to the original text of the Forest Code, all rural properties must include what is called a “Legal Reserve,” a protected area in which land use is restricted, whose size can be up to 80% of total land area for properties located in the Amazon. The changes proposed in the 2012 Forest Code would exempt landowners who illegally cleared vegetation before 2008 from facing liability or sanctions. Although President Dilma Rousseff recently vetoed a few prejudicial provisions regarding permanent preservation areas and vegetation recovery requirements, the latest changes introduced by a presidential decree weaken ”Legal Reserve” rules in areas deforested before 2008, meaning that at least 3.9 million hectares of forests will no longer be recovered. Brazil is a land where environmental progress is often immediately followed by backsliding, a place where salutary and destructive regulations coexist to such extent that it’s nearly impossible to forecast what lies ahead. Incoherence is perhaps the main trait of Brazilian environmental policy. In an era of intense public scrutiny and rising environmental awareness, the Brazilian government still manages to reverse decades of environmental and human rights protection in the name of economic growth. 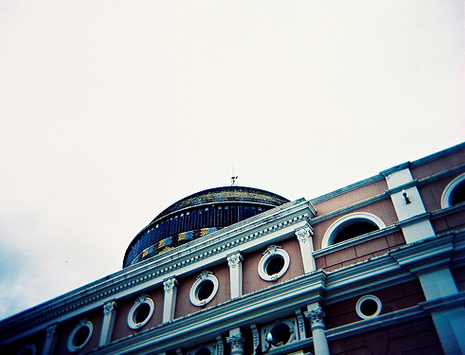 The Teatro Amazonas opera house is an incongruous bastion of human culture in the heart of the Amazon. Still, all is not lost. Resistance against environmental destruction is burgeoning in courts and in the streets. Civil society mobilization is one of the biggest drivers of change in Brazil, as environmental NGOs, church groups and human rights activists have helped orchestrate protests, petitions, and lobbying initiatives in the Executive and Legislative branches. Similarly, the Ministério Público (an independent body composed of public prosecutors) is one of the most active institutions in courts to ensure that rules in the book see the light of day. For instance, the environmental licenses for the Belo Monte Dam are being challenged in Brazilian courts by the Federal Public Prosecutors’ Office, which contends that indigenous communities were not properly consulted prior to the issuance of the license. Several human rights NGOs filed a complaint at the Inter-American Commission on Human Rights (IACHR), which conducted an inquiry into the Brazilian government’s treatment of the rights of indigenous peoples. The IACHR issued provisional measures in April, 2011, later modified in July 2011, requesting that the Brazilian government adopt measures to protect indigenous communities’ lives and welfare in the Xingu Basin. The dam is currently under construction, and it is unlikely that the project will be suspended or modified. The dissent about these policies demands the question: Are petitions, lawsuits and protests enough to improve environmental protection in Brazil? Considering that the Brazilian Constitution is only 24 years old, the magnitude of civic engagement should not be downplayed. Still, any changes in environmental policy will hardly occur overnight, and it is difficult to gauge whether public demonstrations can actually affect change. At the same time, the Forest Code debates, and the President’s move to veto some provisions that would clearly benefit agri-business interests, suggest that the absence of public dissent would have produced a very different, and even more damaging, outcome. In the end, we must not allow our yearning for progress to jeopardize years of struggle for a healthy environment. That growth is important for developing countries is beyond dispute; the goal is to make sure that “accelerating growth” also entails slowing down deforestation and the loss of species. While Brazil has made undeniable progress toward conservation, the environmental laws on its books still leave much to be desired. Gabriela Bueno de Almeida Moraes holds an LL.M. in International Law from the University of Sao Paulo Law School and concluded her LL.M. at Yale Law School in 2012. She was a Fox International Fellow at Yale University in 2009-2010, and has worked as consultant for the Environmental Defense Fund. I see in my everyday life that the brazilian society need to be more engaged in environmental issues. Otherwise the agrobusiness lobbying will always win. I agree with you, and I believe public awareness is rising about deforestation and other environmental issues in Brazil. One of the challenges, I think, is to start a serious discussion about what development should look like in Brazil in a way that doesn’t jeopardize what has been achieved so far in terms of environmental and human rights protection.